An Apple Pencil update was the subject of a continuously grinding rumor mill for a while prior to the actual launch alongside the iPad Pro. Fuel for the mill was likely provided by some issues that even its biggest champions were seeking fixes for. We've been using the new Apple Pencil for weeks now, and while as a whole it is a huge leap forward, there are still some major downsides to Apple's Bluetooth stylus. Of all the changes, how the Apple Pencil charges is likely the most profound. 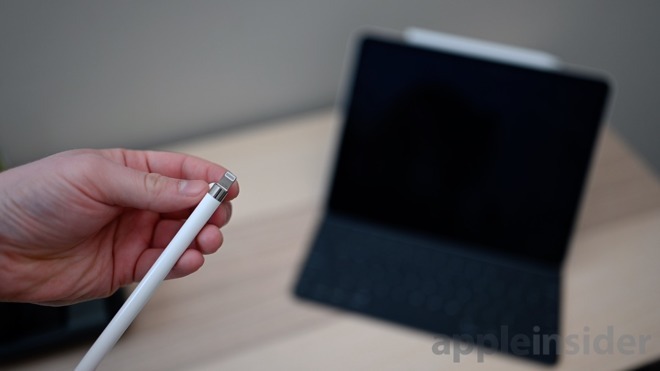 Instead of sticking out like a strange digital lollipop when charging directly off an iPad, it no longer is able to plug into the Lightning port where damage was all but certain to happen to one of the two devices. Rather, it is placed along the long edge of the iPad to charge inductively and held in place via magnets -- of which the new iPads have many. This new placement is also how the Apple Pencil pairs with an iPad. 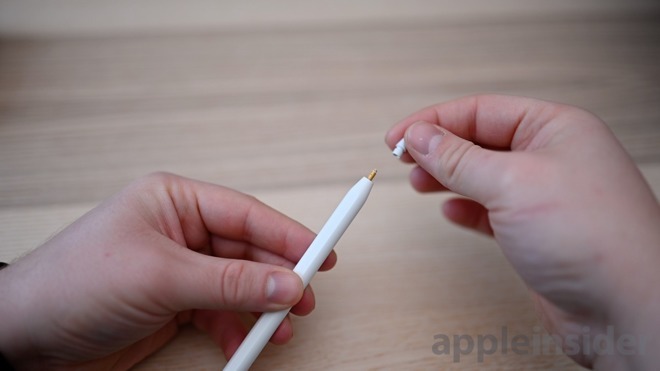 Just snap the pencil into place and a pairing screen appears below it, in similar fashion to how AirPods status appears when opened near a device. Apple focuses on the little touches, so it is good to see that not only do the magnets easily keep the Pencil aligned, but it works in either direction. 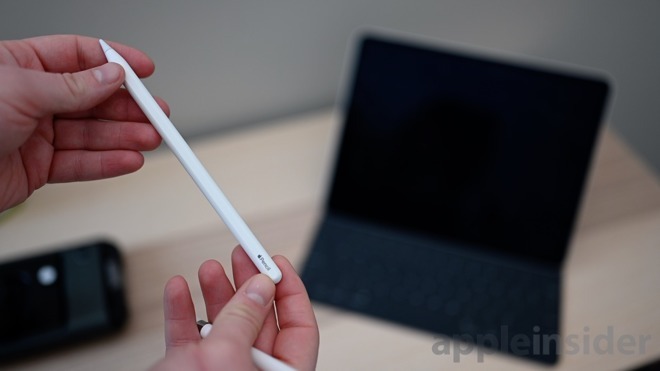 The exterior of the Apple Pencil has changed as well. Instead of the glossy finish that was prone to scratches and could feel a little slippery in the hand, the new model has a matte finish. One side of the Apple Pencil is completely flat, which -- if placed correctly -- will stop it from rolling away. Unfortunately, this surface is still very shallow so if it starts rolling from being placed on another side, it won't likely stop it from escaping over the edge of your desk. This flat surface can be custom engraved at checkout, a nice perk when ordering directly from Apple. Because of the redesigned charging method, no longer is there a cap on the end of the Pencil. This cap was amazingly easy to lose on the original Apple Pencil, and our own was chewed up by our dog. Besides rectifying past issues, Apple baked in new functionality to the fresh version. By tapping on the side of the Apple Pencil, you can switch between multiple functions in different apps. Looking at Apple's own Notes app, double tapping the side alternates between your active writing instrument and the eraser. This reduces the need to head to the toolbar every time you switch between instruments. Third-party devs also get invited to play by including their own uses for this in their apps. 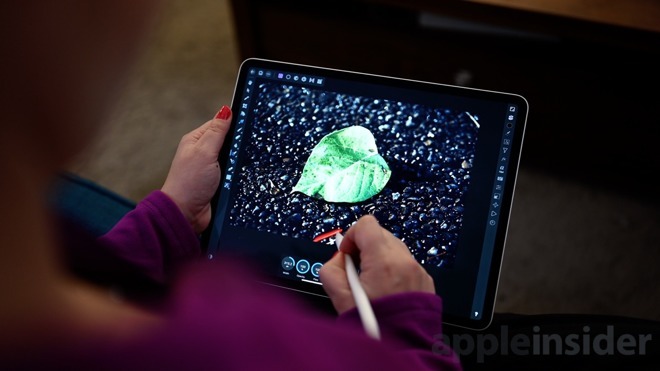 Popular apps such as Affinity Photo have already added support for Apple Pencil 2 and more will continue to do so. Right now, this still feels a bit limiting, similar to AirPods own tap gestures. It seems plausible Apple could have built in more functionality such as sliding up and down to change the diameter of the brush, or triple tapping to undo the last action. Perhaps these could be upgraded over time, but we aren't holding our breath waiting for it. Apple markets the Apple Pencil largely as a tool for creating. Beautiful pieces of artwork are shown plastered on billboards and within Apple Stores as "created with iPad and Apple Pencil." That doesn't mean that non-artists should stay away. The inverse is actually quite true -- we've found a cacophony of use cases for the Apple Pencil. Having the new Apple Pencil ever-ready affixed to the side of the iPad makes it effortless to grab it, tap the screen, and start taking a note. Because of the new Pencil's convenience, we've used the overall technology in it more than ever. A compelling use case for the new Apple Pencil is editing photos. During the editing process, the small and exact tip makes it an ideal instrument for working in Lightroom, Affinity Photo, or Pixelmator. Working with the new Pencil has made a big difference to my workflow. I never have to worry about charging it so it is always ready to go. This has made it all the more convenient, and increased its value, given that the new model is $30 more than the last one. Like any new product, all of the new pros come with new issues. Apple Pencil is night and day better than the original, likely what Apple should have shipped the first time around, but it is still far from perfect. To start, Apple has bumped up the price of the Pencil, but decided not to include additional tips in the box. We can partially see the logic here as many didn't even know they were there in the first place and haphazardly tossed them out at the onset. Still, for die-hard users who need to replace the tip, it is a bit of a kick in the shin after having to pony up money for a new version to use with the new iPad Pro. 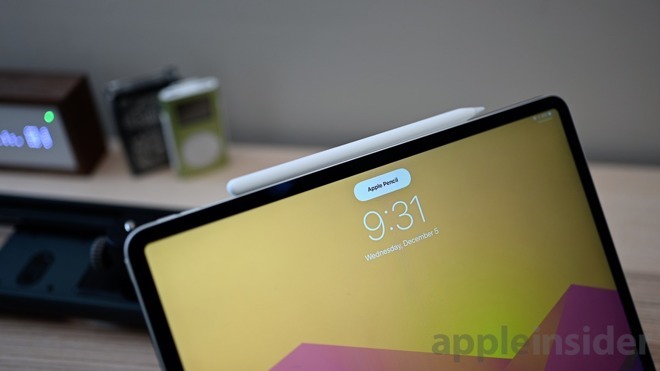 Because of the new charging methods, the new Apple Pencil won't work with older iPad Pros and the old Apple Pencil won't work with the new iPads Pros. If you go from the previous iPad Pro to the new model, you have to buy a new Pencil too. Durability is also a bit questionable. Weeks in and our Apple Pencil and iPad are already showing signs of wear. The metal sides of the iPad that make contact with the Pencil -- on either side of the plastic plate -- show small wear marks that likely will increase with use. The rounded end of the Pencil, which is actually a separate piece of plastic, also has the ability to stain. We put Apple Pencil in our jean pocket one time and the round portion actually turned blue, unlike the rest of the Pencil. Are our jeans the best place to keep the Pencil? Clearly no, but while in the middle of working you need somewhere to place it, your pants pocket does the trick. The white plastic just shouldn't absorb color so easily. 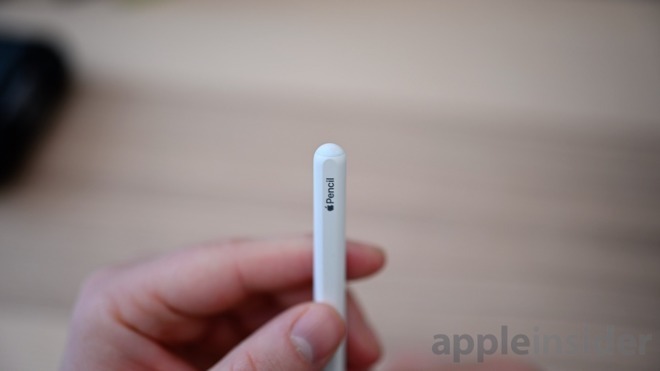 We've also dropped the Apple Pencil far more frequently than the original. Those magnets that keep it in place so handily, also give us the inflated expectation that it will stay there. We can't count the number of times we've picked up our iPad Pro with the Apple Pencil attached and walked around to have it accidentally knocked free. This increased likelihood of drops makes us even more frustrated at the lack of replacement tips. Apple Pencil is a unique accessory. It is quite expensive, and is limited to the newest iPads. Yet, we've come to rely on it for so many tasks it would be hard to give up. It won't be for everyone, but anyone who was interested or used it in the past will benefit from the laundry list of enhancements Apple has made. At press time, the new Apple Pencil is in stock at Abt.com with free shipping. For product availability across multiple Apple authorized resellers, please visit our iPad Pro Price Guide. So your issues with the pencil are that it is expensive and falls off the iPad too easily? Almost as funny as saying buying crap jeans is a problem with the Pencil. This is a case of be-careful-what-you-wish-for: people wanted a more elegant charging technique for the Pencil and they got it...for an increased price. It's not like inductive charging is standard for the stylus market right now. Every time I see this comment anywhere I point out how absurd it is -- products don't spring forth out of clam shells, fully-formed. They require iterations to get better. Is today's Mac what the first Macintosh should have been? Is today's Porsche what the first Porsche should have been? Etc. It doesn't work that way. Products evolve and get better over time. I have the first Pencil and it does exactly what it's supposed to do, and I haven't lost the cap, destroyed the tips, etc. It does its job. And now, the Pencil 2 does that job better. As it should. But but but we want new features at old prices! We want a new Mac mini with desktop components and a high-speed I/O, at the same price as the original from 13 years ago without those things, ignoring both inflation and the new hardware! Only Apple would have the cojones to make a cheap plastic pencil that expensive and generally useless. I have one of the originals and it sits in the bottom of a laptop bag unused. A good stylus/pencil would be appreciated and neither the one I own or the new one seem to be worth the trouble or expense. This may be the worst case of projection I’ve ever read. I use my Apple Pencil ever day for probably a total of an hour, but many others use it all day every day... just because your use case isn’t everyone’s doesn’t mean it’s useless. Also, if you dont use it. Sell it for $50. Then you will have only paid the difference on it. No, the problems are it falls off, is more expensive, doesn't include tips in the box, cases can't cover the side, the end discolors easily, and gestures are limited. That amounts to far from perfect. Anyhow, I wish Apple would make it such that the erase function would erase just the pixels you touch (vs. the entire line segment previously drawn). Except we’re not talking decades or generations between Apple pencils as in your examples. The phrase is not absurd given its context. The first pencil, especially with its inelegant charging solution, shows signs of a rushed product or lack of forthought. Surely, this is the product Apple should have come closer to realizing on its first attempt. They’re not amateurs in the industry, after all. One side of the Apple Pencil 2 is completely flat, which -- if placed correctly -- will stop it from rolling away. Yes! These were glaring design flaws in the original pencil. Clearly, they cut short the usability testing during the design. I purchased a Logitech keyboard folio which has a loop to hold the pencil (another glaring omission of Apple’s original ipad keyboard) so I either rest the pencil above the keyboard or in the loop. I also got in the habit of using the loop to hold the cap while I was charging the pencil. Another ‘WTF?’ Feature of the old pencil is the tiny barrel connector that would allow you to charge it with a lightening cable. There’s no way to store this piece that’s little bigger than a pencil eraser, meaning you were sure not to have it when you needed it. AT this point I doubt there will be much in the way of feature additions. The original Apple Pencil was primarily a glorified stylus. 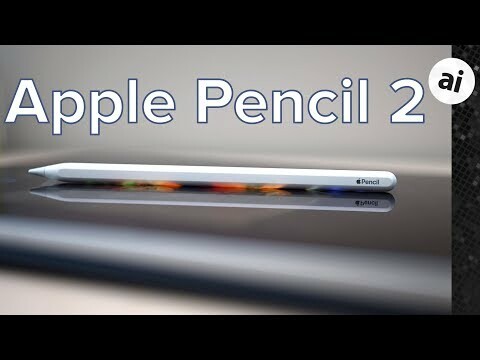 The 2nd generation pencil added features that make it more useful and usable. They also require a bit more coding on the developers’ part. Adding new features to a V3 would make developers deal with 3 different pencils with 3 different feature sets, something which becomes cumbersome on their side. Exactly. The design and usability with the original pencil were striking - to the point taht one had to wonder if they did much field testing with it at all. Great review, I love your idea where swiping along the side changes the size of the brush, or change opacity? It is a shame they decided not to include an extra tip, especially that it is easier to bumped off. Not cheap plastic. Not useless. That you didn't need one is your fault. Troll Score (tm): 2 of 10. Being "more expensive!" isn't an inherent problem. It happens to, you know, do more now (gestures, wireless charging). Why do you think you should get more value without more cost? That isn't how marketplaces work. I'm also struggling why you feel there should be replacement consumables in the box. Does an iPhone come with screen protectors? Do my shoes come with extra sole inserts? It doesn't matter what the time frame is. The Pencil has been out for *over three years*...things improve over years. The iPad 2 was better than the iPad 1, as is expected. Does that mean they shouldn't have released the iPad 1 for another year? No, that's absurd. Same here. Waiting three years for this Pencil would have been stupid. I have the Pencil, it's not inelegant because it uses the same cables I already own. I can plug it right into my Mac once every so often. It was neither rushed nor lacking. It was great, and its marvel at the time was its *completely superior* resolution, low/no-lag, palm-detection, and good pressure sensitivity. Those were the *primary use cases* that mattered. The primary things to nail, and nail it they did. Now it's being refined via iterative development, and they've moved to other facets of use. You know, as Apple has always done. Remember the original iPhone? It couldn't even do copy & paste, and had no video whatsoever. Should they have waited until the iPhone 3? Nope. Iterative product development is how Apple rolls. My biggest problem with the Apple Pencil 2 is that it does not do much outside of drawing and notetaking. I feel like you should be able to do a lot more than that. The pencil does not interact with apps like Safari and many other Apple apps. 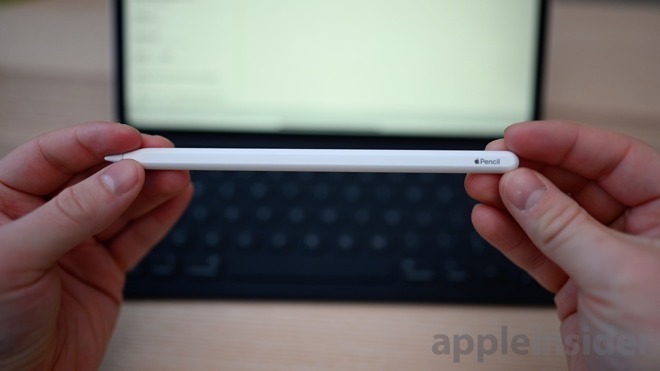 "One side of the Apple Pencil 2 is completely flat, which -- if placed correctly -- will stop it from rolling away. Unfortunately, this surface is still very shallow so if it starts rolling from being placed on another side, it won't likely stop it from escaping over the edge of your desk. This flat surface can be custom engraved at checkout, a nice perk when ordering directly from Apple." A problem with pencils for about 500 years. Yeah, man, the term “useless” to describe Pencil is a joke. I’m using mine right now to design part of the shroud of our next-gen internet connected exercise bike. Sorry you bought something you didn’t need. I use my Apple Pencil all the time when using my iPad - it’s Far more precise for selecting and more convenient in many ways when switching back and forth between the keyboard and touchscreen for inputs. I originally got it so my artist daughter could draw only to find out she ‘doesn’t like drawing on a computer’ I probalby wouldn’t have paid $100 for it otherwise, but now that i have it it’s useful. Calling it useless is ....well..clueless. I still fail to see why Apple didn’t make the old pencils compatible with the new iPad Pro, however.